Click to download a membership application. Register and Login to KNEA 360- your member resource and management portal. Access NEA Member Benefits, EdCommunities, and more. Under the Dome is KNEA’s Legislative Advocacy web resource. Click here to learn how to get involved, take action, and contribute. 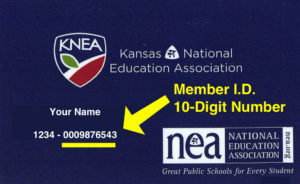 Kansas EdTalk is the web-home to KNEA’s member publication and webcast. Click here to read KSEdTalk’s digital edition and subscribe to the Kansas EdTalk Podcast. If you need support, we can put you in touch with members or staff who can help. Just click below.